Just the thing for the finishing post! 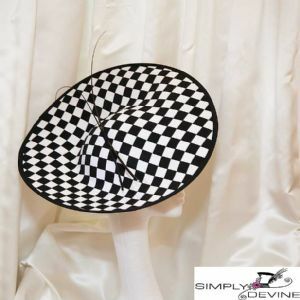 This unusual black and white checked disc hatinator is a perfect race-day piece, and sits perfectly on a black headband for comfort and ease. The unusual design would turn any plain garment into a special outfit.